On those "no makeup" makeup days, when I'm running around, jumping-climbing-trees, and running errands, Les Merveilleuses Laduree Tinted Lip Balm gives my lips a soft, sheer wash of color and emollient slip that they need. 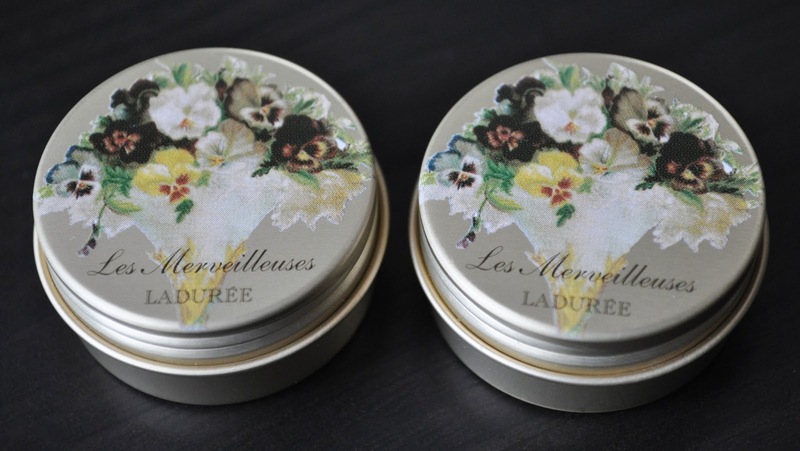 The tin packaging, along with the charming french provincial pansies design, gives the product a vintage feel. The lid screws on, so you don't have to worry about any mishaps while traveling. 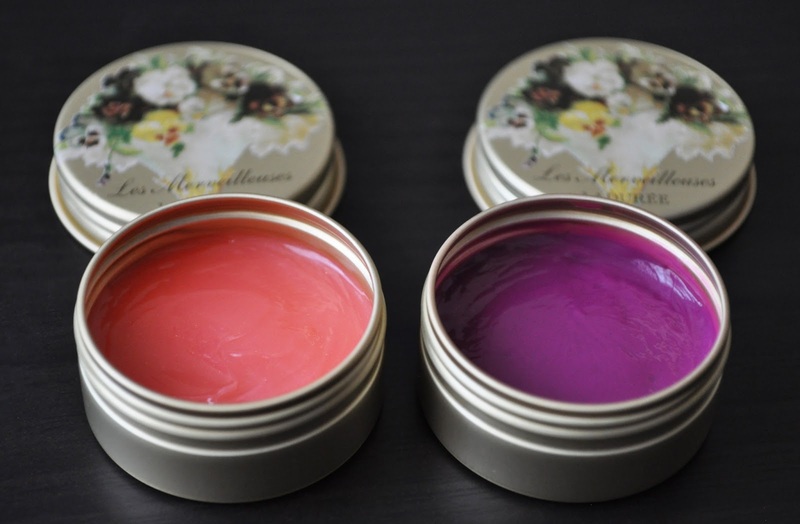 In the tin, the balm does have a faint powdery, Shea butter scent. However, this disappears once applied. From left to right (natural lighting..overcast of course :P): 05, 01. 05: a coral-peach with micro-flecks of gold. From left to right (with flash): 05, 01. Despite being the sheerest of the two, 05 gives the lips a youthful wash of a coral-peach; though the micro-flecks of gold don't transfer from the pan. 01 is the most pigmented, and actually leave a slight stain after the balm's 3-hour wear time. 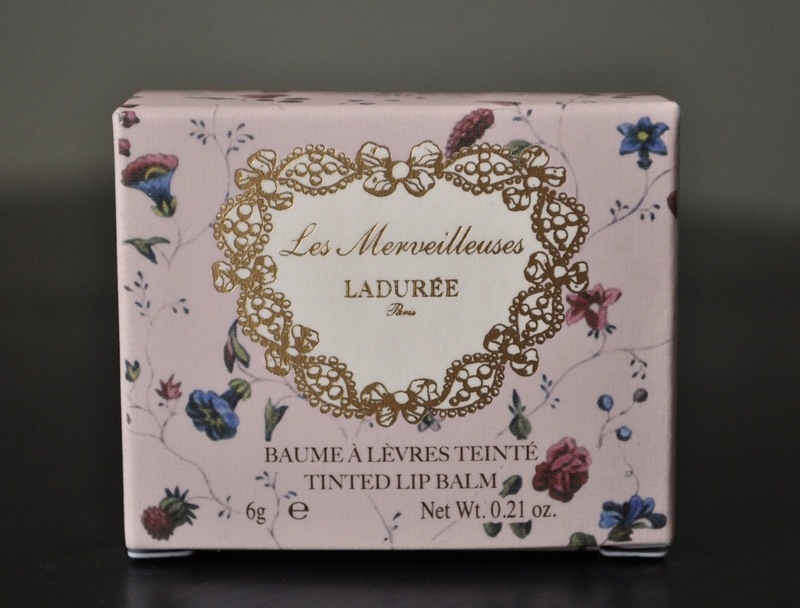 Les Merveilleuses Laduree Tinted Lip Balms come in five shades (01 & 05 being the most pigmented), and retails for ¥2,625 ($26.65). 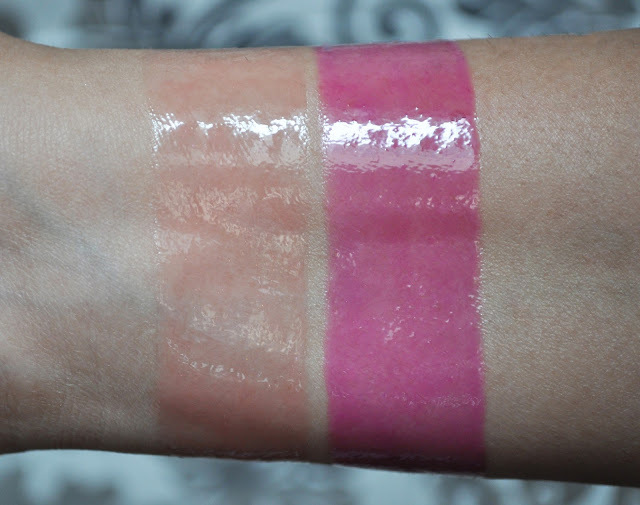 What are some of your favorite tinted lip balms? 01 does appeal to me! (05 is a bit too fuchsia for me!) Maybe I need to look into getting a CP! Seems as if my swatching out of numerical order has confused you. 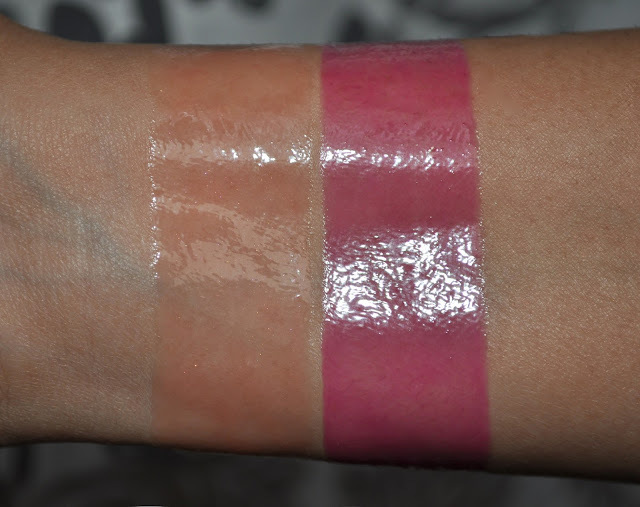 01 is the purple-fuchsia shade. Been so busy recently and now catching up :) These look so pretty - I actually think the Fuchsia (01) looks really nice. And wow, aren't they glossy? How moisturising are they for a lip balm? I have terribly dry lips that peel, peel, peel. I might pick some of Les Merveilleuses things up when I'm in Japan! Tickets booked! I'll be spending Christmas and New Year in Japan - I seriously hope the shops aren't closed because I NEED to get my THREE/Addiction/Suqqu/Laduree/brushes. These give a good amount of moisture to the lips and they feel nice. Don't worry, Japan is not a Christian based country, therfore, the shops will be open on Christmas. I'll definitely put them on my list of things to try. I've heard that they close on Emperor's Bday and Jan 1-3... the days I'm in Tokyo! I'll have to get back to you on that, but I don't remember the stores being closed for so long. Business yes, but not retail.